Puget Sound Business Journal has ranked Kalani Packaging as one of the largest minority-owned companies in Washington State. The 40 companies included on the list collectively reported revenue of $4.05 billion in 2016. John A. Gilmore was an outstanding community leader who dedicated himself to the struggle of racial equality. The John A. Gilmore Award is presented to a Council-certified minority business owner that best exemplifies his spirit of engagement and business opportunity generated on behalf of minority entrepreneurs. 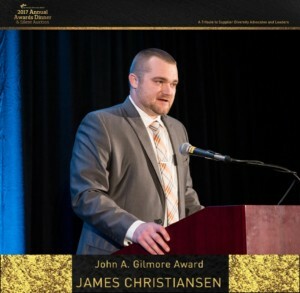 The John A. Gilmore Award, presented to a Council certified minority business owner or employee who exemplified the spirit of activism and business expansion by strongly advocating for fellow MBEs of the Council was given to James Christiansen of Kalani Packaging. Kalani Packaging ranked #5 on the list of 25 companies. To qualify for the List, companies must be globally headquartered in Washington and at least 51 percent minority-owned. 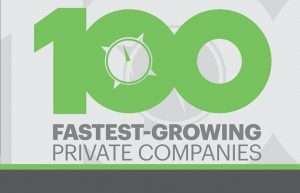 Companies must have recorded revenue of at least $500,000 in 2013 and operate as an independent, privately held corporation, proprietorship or partnership. 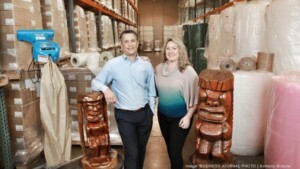 Early on, when Kalani Packaging was just Lono and Shelly in the garage of their Everett home, a mentor stressed the importance of defining a company culture. The couple took the advice to heart. They credit the resulting mix of “Hawaiian-style hospitality and ethics” as a driving factor in the success of Kalani, which has steadily increased revenue despite a setback during the 2008-2009 recession. Over 24 months between January 2014 and December 2015, sales increased by 250 percent, Dickson said.